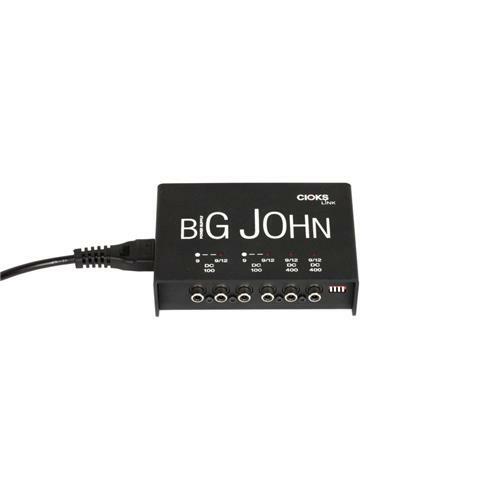 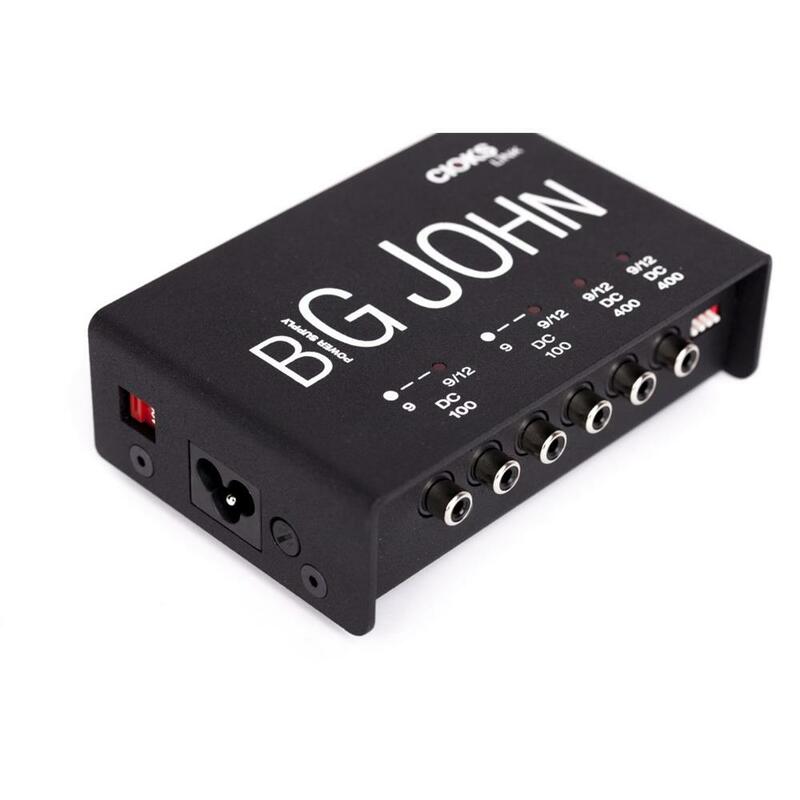 CIOKS Big John link is a small sized yet quite powerful power supply for effect pedals with 6 outlets configured in 4 isolated sections. 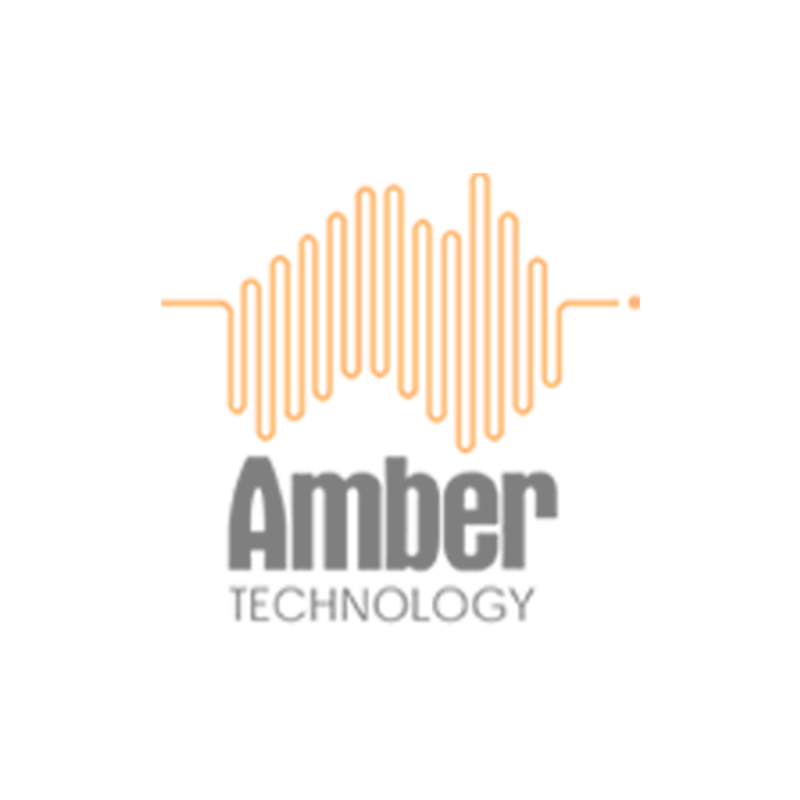 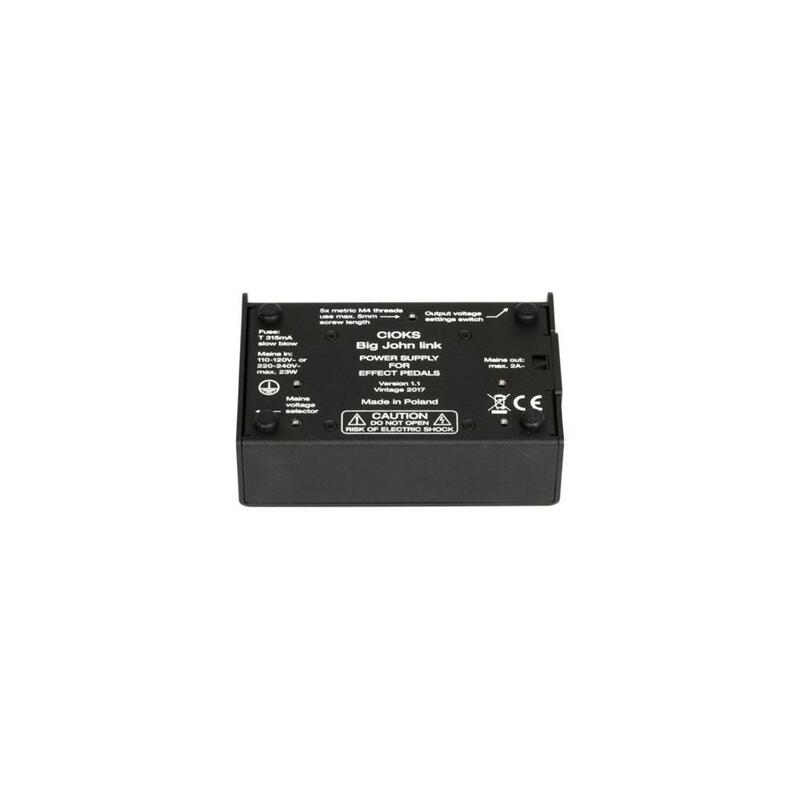 The first four outlets are divided in two isolated sections, which yield 100mA each and offer voltages 9 and 12V. The last two isolated high current outlets put out a max. 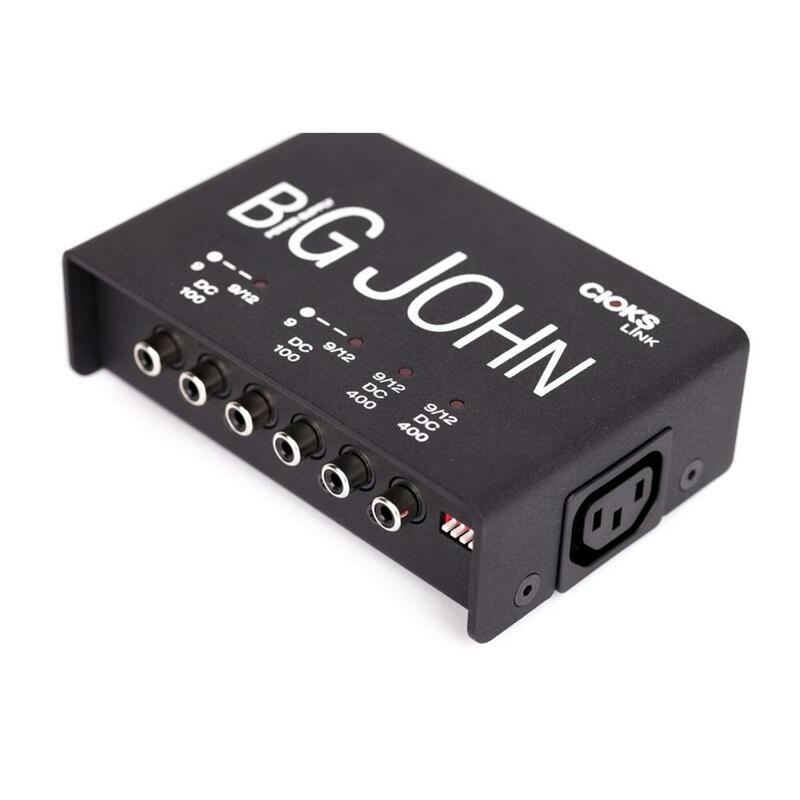 current of 400mA each at voltages 9 or 12V.